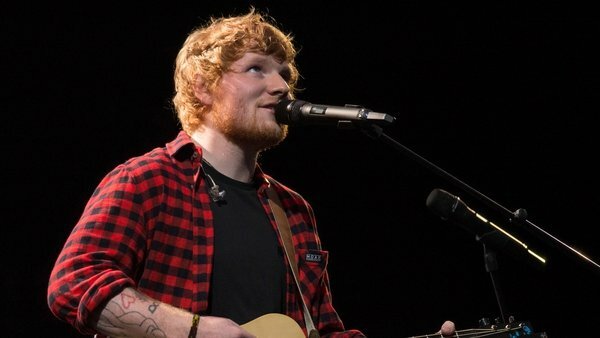 Ed Sheeran has revealed that he has a Bond theme written for the past three years and is just waiting for the call. Speaking on The Late Late Show, the chart topper told host Ryan Tubridy that he "has a theme tune written for the past three years - just in case." When Tubridy asked what it was called, Sheeran refused to share the title of the track, quipping that "someone might steal it". He assured Tubs though, that while it might not win an Oscar, "it was good". It seems Sheeran might have a number of tracks ready to go in case he gets the call to work with someone - like he did recently with Eminem. "So it’s the same for Bond, if ever I’m called I’m like right there you go." 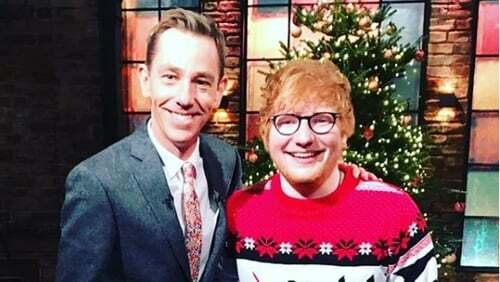 Sheeran also spoke candidly to Tubridy about his love of partying, saying that while he "has never woken up and said I need a drink," he did reveal that he loves "drinking everyday". "I don’t see it as problematic. I love good times. If I drink everyday it is with people. Or in my hotel room watching a film with a bottle of wine." The Galway Girl singer was awarded an MBE in the Queen's Birthday Honours List and said he would have loved for his Belfast-born granddad to be with him when he received the honour recently. Sheeran also performed his track Nancy Mulligan on Friday's show, which is the song inspired by his grandparents William and Anne Sheeran who married despite being from different religions. He said to Tubridy: "Nancy Mulligan is about my grandfather and my grandmother. My grandfather is a Protestant from Belfast and my grandmother is a Catholic from Wexford and when they got married it was like a real thing. But they went against people, got married and ended up being married for 66 years before my grandfather passed away." The MBE was a "really big deal" for himself and his Dad, he added. "My grandfather was a huge, huge royalist and loved the royal family, had commemorative plates and sh*t. He was bang into it. He sadly passed away in 2013 but when the MBE came in, I remember being with my Dad and being like, ‘ah sh*t, wouldn’t it be cool if granddad was alive now to see this’," he added. Click here to catch up on the full interview on the RTÉ Player.